December 1st is tomorrow, and you know what that means… Elf on the Shelf returns! If you are looking for some Elf on the Shelf inspiration, then search no further! I have compiled my 25 favorite Elf on the Shelf ideas for you to use, so that you don’t spend all of December trying to think about where to place your elf next. 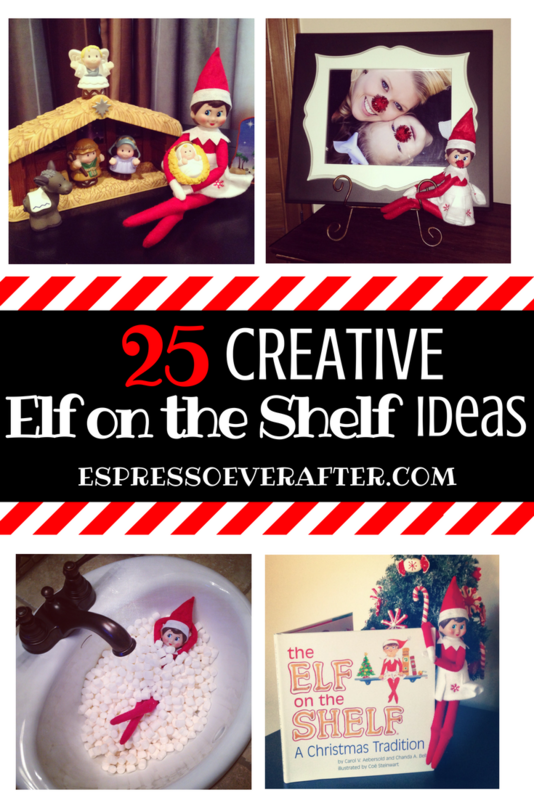 Below you will find my 3-part series highlighting 25 creative ways to bring the spirit of Christmas to your home with the help of the Elf! Since I am a girl mom, of course I picked an elf with a girly touch that I knew she would fall in love with. That is how we ended up with Elfie, all glammed up in her precious snowflake skirt. I purchased The Elf on the Shelf kit through Amazon and had the choice between a male or female elf, as well as accessory options. It’s not too late, CLICK HERE to pick out your Elf on the Shelf kit. I started our special tradition by reading the magical Elf on the Shelf book to my daughter the evening of November 30th, the night before it all begins. This is a great opportunity to teach your little one the special story and to help them understand the rules… they cannot touch their elf or the magic disappears. Moms, this is helpful because it keeps your elf clean and allows you to always know where you left it, so you can prepare for the next morning. 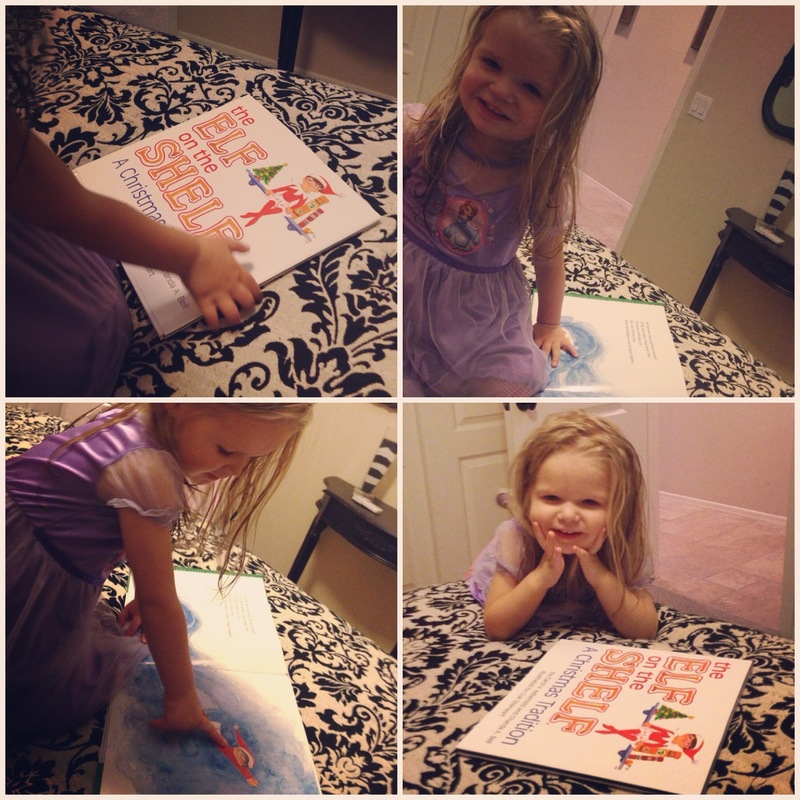 She loved the story so much that she couldn’t wait until the next morning to search the house for her very own Elfie. I may or may not have used Elfie as her motivation to go to bed every night… it worked, and was an added bonus! When searching for a new spot for your elf to be awaiting your children each morning, be creative and utilize special touches that already make your house a home. The best recommendation I can give you is to turn your elf photos into a Chatbook for your kids (or you!) to enjoy. I love that I have this special book of memories to share with my girls forever. Don’t forget to use code KQH92MNZ to get your 1st Chatbook free! With the help of Instagram I was able to keep a photo diary of the adventures of Paisley and Elfie from November 30th – December 25th, 2014. (#paisleyselfontheshelf) I then turned the photos into a Chatbook for her (or me!) to enjoy forever. 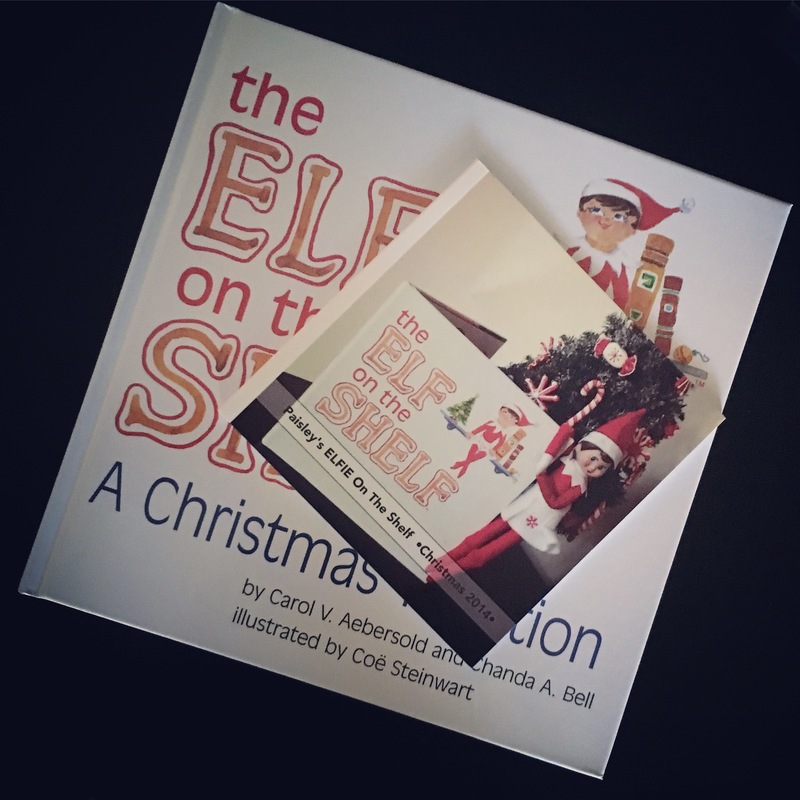 We keep her chatbook out on our coffee table during the month of December so she can relive all of her favorite memories with Elfie. Great news Espresso Ever After Viewers : CLICKE HERE or Use code KQH92MNZ to get your first Chatbook free!!! Chatbooks are the perfect photobook keepsake. I hope these creative ideas and photos have helped you kick off your holiday season.